The Governor and Legislature approved the U.S. Highway 12 (USH 12) Environmental Impact Study (EIS) in the 2013/15 budget directing the Wisconsin Department of Transportation (WisDOT) to internally do the EIS. The USH 12 expansion and site has been on the state highway plan since 1967. The WisDOT started the USH 12 EIS in 2013, but after completing a Proposes and Needs review canceled any further work on the EIS. The cancellation occurred even though WisDOT never completed the interviews with industries and businesses to determine the economic impact or give public awareness that had been promised to the citizens of the area. The WisDOT also used old traffic numbers from 2012 and did not include the SEWRPC recommendation that the expansion of USH 12 was already warranted. Additionally, the University of Wisconsin-Whitewater is the only UW institution without a four-lane highway access. •	Summer residents add a significant seasonal population. •	Walworth County is the sixth largest tourism county in the state of Wisconsin, attracting 4,250,000 visitors a year. •	In the five summer months, the USH 12 Average Annual Daily Traffic (AADT) exceeds 14,000 needed to justify a four-lane highway. •	Between 2011 and 2015 there were 404 crashes on USH 12. •	59 of the 404 crashes were fatalities and 60 percent of the USH 12 exceeds the average state crash fatality rate. •	In a five-year total, Walworth County is either last or second to last of all seven counties in Southeastern Wisconsin for expenditures on state roadways. •	The City of Whitewater and the City of Elkhorn are unable to grow economically without the direct four-lane highway access we are requesting. 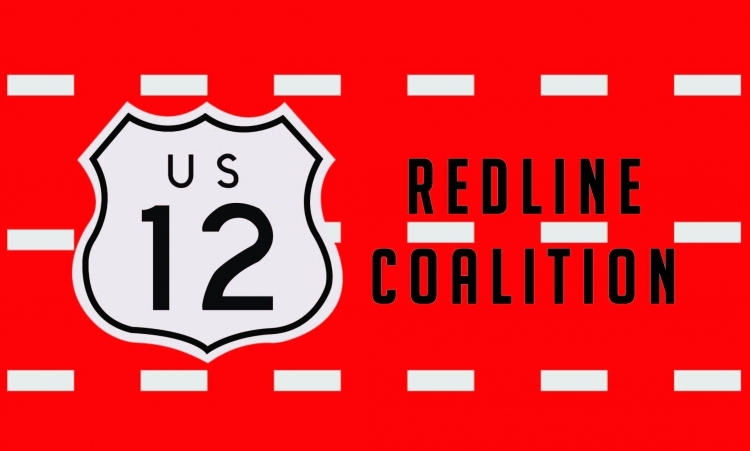 The Highway 12 EIS Petition petition to Wisconsin Department of Transportation was written by Redline Coalition and is in the category Business at GoPetition.